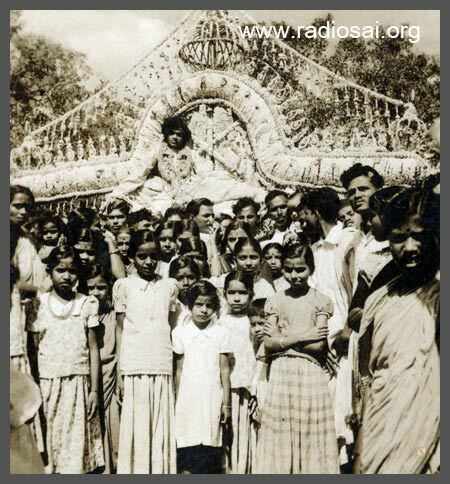 On November 19, 1995 Bhagawan Baba declared that, from then on, that day should always be celebrated as Ladies Day. And Baba made it a point to emphasise on the sacred virtues and the sterling character of women on this occasion every year. 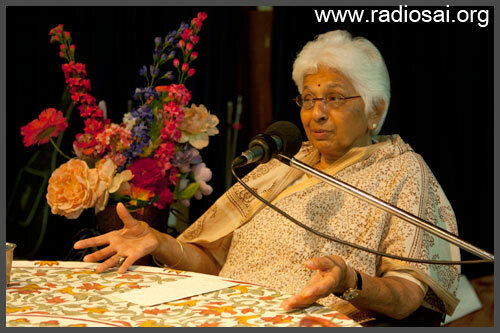 Commemmorating this sacred day, Radio Sai presents below a conversation with Mrs. Prema Bose, an exceptionally long-time devotee of Bhagawan. Coming from an illustrious family, Prema's father, late Mr. R. P. Sarathy was the first additional defence secretary of the newly independent India. And along with her mother, Mrs. Kamala Sarathy, and her older sister Leela, she grew up in the country’s national capital, New Delhi. After completing her schooling in New Delhi, she went to earn her B. Sc. Hons. in Nursing from the Delhi University. She then taught nursing at her alma mater for four years, before earning herself a scholarship to pursue her Masters in Nursing at New York’s prestigious Columbia University. Even after her marriage, she continued to work in the nursing-related field for five years in the United States. Later on, she chose to be a stay-at-home mom and devote herself to raising her two children in the USA. Subsequently in 1981, she took over the family’s textile import business in Philadelphia, USA and ran it successfully till she sold it in the summer of 2010. A bright student, teacher, entrepreneur, mom, and now grandma, Mrs. Bose is happy to have hung her shoes and enjoy her retirement in Philadelphia, Chennai, and her favorite place in the whole wide world, Prashanti Nilayam. At the time of Baba's 85th birthday, Mrs. Bose had spent over 62 years in Sai's proximity. 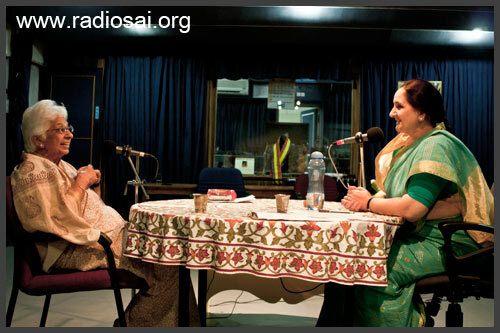 Presented below is the edited transcript of a conversation with her recorded in the Radio Sai studio in December 2010. 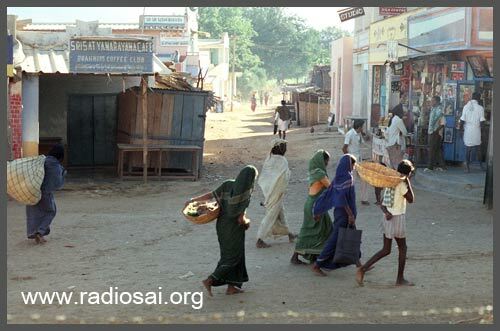 Radio Sai (RS): Sairam Mrs. Bose and a warm welcome to Radio Sai. Prema Bose (PB): Sairam and thank you. I am honoured to be here. RS: And we’re delighted to have you. Let me start off by telling you what an honour it is to sit across from someone who has known Bhagawan for over six decades. Now, let’s start at the beginning. In 1948, you were a 12-year-old, living in Luyten’s, New Delhi, in your father’s official residence along one of those tree-lined streets. You were attending middle school, taking music lessons, and happy in your little world. Your dad was a bureaucrat with the central government and your mom a stay-at-home music-loving violinist. Your only other sibling was your older sister Leela. Free India was barely a year old and modes of communication were few and far between. Now, how on earth did a 21-year-old wonder boy calling Himself Sai Baba in the distant south enter this picture? PB: That is really an amazing thing because we as a family did not necessarily go after holy men. We did not have a spiritual basis in our life. At that time we lived in a huge residence in Delhi which had many rooms in the annexe building. Our music master, Mr. B. V. Lakshmanan who was a very good classical carnatic singer, lived in one of these rooms. One day there was a postcard for him from his sister. And my sister collected the mail from the postman. And as she was bringing it in, she read the content. Ramanan's sister had written that Swami has asked us to come and see Him that summer. RS: And where was this sister located, if I may ask? PB: She was in Madras (now Chennai). So my sister showed this to my mother who was very intrigued as to who this Sai Baba was and why was He inviting us? However first my mother scolded us thoroughly for reading someone else's mail. And that evening, when Mr. B. V. Lakshmanan (we called him BV) came, we bombarded him with questions. He then told us about Swami living in Puttaparthi and how they had seen Him in the Venkatagiri palace, sung for Him and also been invited by Him to go to Puttaparthi which was then a little village. It turned out that we were going to Madras on a holiday that summer. So my mother decided that maybe we should also go and see this Swami in Puttaparthi. It was a decision on the spur of the moment. So definitely, this was a call from Swami and it just happened. RS: So other than intrigue and curiosity, you had no other inclination at that time? PB: No, none at all. My mother, I’m sure had latent spirituality in her which needed to be awakened. Actually she had three loves: her latent spirituality, her love of music, and her love for her two children. And these are things that Swami eventually addressed. RS: Okay, so how was your first journey to Puttaparthi like in the summer of 1948? PB: It was amazing. We first went to Madras. Then we told our family that we were thinking of going to Puttaparthi with BV, his twin brother Rama, and his sister along with her two daughters. A couple of my aunts were also intrigued. So they decided they would also come with us with their two children. In this manner the party grew and finally, we were about 15 or 16 people – old, middle-aged and youngsters. We went by train to Penukonda and that in itself was like an overnight or longer journey. We then got down and walked to the bus station which was a bit of a distance. We got coolies to carry the luggage. I have to mention that before we started, Revathy, the sister of BV, had told us: “There won’t be anything there. So bring all the rice, dal and everything you need, plus your cooking vessels.” So we had big trunks of all of that material. RS: Like going on a safari! PB: Going on a safari, camping, whatever! PB: So once we were in Penukonda, this rattling bus came along and we put all our luggage in and traveled to Bukkapatnam. At Bukkapatnam, we had to get bullock carts to take us to Puttaparthi. And by now, it was pretty late at night, because the buses are always late. So we had to go into the village, look for bullock cart owners, wake them up, and ask them to take us to Puttaparthi. And this happened during almost all of our trips. Sometimes we had so much luggage that only our bags went in bullock carts while we all walked. PB: We walked across the Chitravathi to Puttaparthi. PB: Yes, it was! But somehow, we didn’t seem to mind it at all. It was amazing! RS: What was the reaction of the local villagers when you woke them to carry your stuff? PB: They would do it because they earned money. But there was definitely an air of hostility. There would be comments like “Oh, you’re going to Puttaparthi!”, “Why are you coming to see Him?” and things like that. One thing good was, except for my mother who spoke Telugu and BV and his family, the rest of us didn’t understand what they said. So we were not bothered, and so, happy. RS: Your ignorance was bliss. PB: Totally. So in that first trip, by the time we arrived at the ashram, it was quite late at night. It was dark. As we were arriving, Revathy told us, “Look! You can see that light in the distance!” and there was this powerful light from afar. PB: Yes. It was Swami! He used to carry a long and big flashlight always with Him which had a powerful beam, because we had no electricity. He was flashing to help us with the approach road and was there at the gate to greet us! PB: It was wonderful! That was our first introduction to Swami. And then, He showed us where to put our luggage and rest in the night. That was our experience on the first trip. RS: So you were welcomed straight by the Source? RS: Oh my God! When you woke up what was your first impression of Swami and Puttaparthi? PB: It’s interesting. 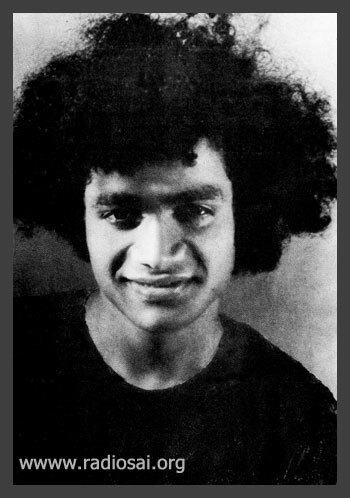 The general impression of Swami was that He was… I still remember His eyes. They have not changed. His brilliance, His look... When He looks at you, He looks right through you, within your soul. That is Swami and He’s there! But the main thing is that all of us felt His love and concern for us. He was so very active. He’d come in and out, and ask us different things. And this only grew as we kept coming. RS: What did He look like physically? He was 21. PB: Yeah, He was very slim and had His halo of hair. He wore this dhoti kapni (robe). But He’d wear different colors - pink, orange, yellow, and so on. And in fact, when we were there, we used to consider it quite an honour to be asked to wash His kapni and do things for Him. Also He would talk very swiftly in Telugu. My mother translated for us during the first trip. Subsequently He began to talk more in Tamil, maybe for us. RS: What was Puttaparthi like in those days? Life here has changed by leaps and bounds ever since, but how was it in 1948; it was one year after India’s independence. PB: Oh! It was truly one of the most backward villages, because I have seen villages in Delhi and Najafgarh; they were much better. Coming from Delhi where we had a big house, garden and everything, we found Puttaparthi extremely backward and undeveloped. Swami’s compound had a wall around it and it enclosed His mandir, buildings attached to it and also there was the Bhajan Hall. There was also a small annexe room, a big shed, and a covered verandah outside. And inside was a huge courtyard. On one side of this courtyard was Swami’s rooms – where He stayed. And on the other side were the places where we cooked. We had to cook with firewood, and we didn’t know how to; we would struggle with all the smoke getting into our eyes. In the middle of the quadrangle was a well where in the morning we would brush our teeth and things like that. But what we call now as Chitravathi Road or the main road, were then paths were carts went. This is a shot of a street in Puttaparthi taken in 1970s. Imagine how much more underdeveloped it must have been in 1950s! RS: And who would have imagined that planes would be landing here! RS: Flying in to Puttaparthi. RS: And life for devotees at that time must have been very grueling? PB: Well, I suppose, but we didn’t think so because we just loved being with Swami. There were no bathrooms; so for the morning routine we had to go to the mountains, where the Administration Block is now located; it was then a big rocky mountain, and there would be pigs, goats, and thorns - all of them. RS: Because it gave you some privacy? PB: Yes. We usually went in groups of two or three, so that at any time one could keep a watch. And then we went to River Chitravathi to bathe, wash our clothes and change. PB: So the whole morning routine was quite an experience. And in the meantime, my mother would have cooked lunch. At about 11 a.m. Swami would gather all of us in the Bhajan Hall. He would sit in the middle with men and women on either side and start singing. In fact He would teach us bhajans. My mother’s violin master had come with us from Delhi, and he used to play the violin while BV and Ramu used to sing. My sister and mother were very good singer too. Swami would teach not only bhajans but also Tyagaraja keertanas. Quite often, He would correct the singers. He would say, “No, no, Tyagaraja meant these words, not that.” And this session would go on for an hour, sometimes even an hour and a half. 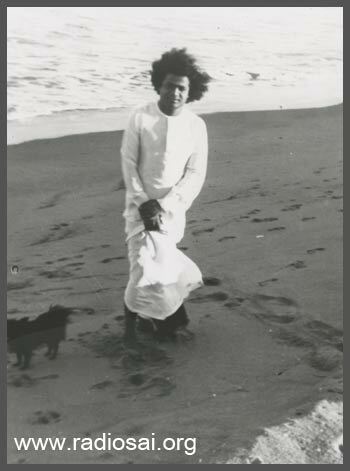 PB: And after this session where Swami would sing with us, teach us and tell us how to pronounce the words, we would have aarthi; those days the aarthi was the song, Paavana Purusha. And then we would stop for lunch. RS: Now, you were city-bred girls living this primitive life in Puttaparthi. There must have been a very compelling energy that drove you here. 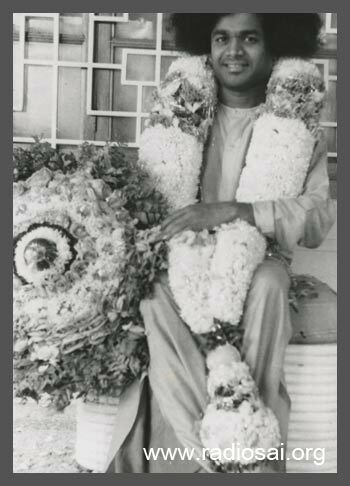 Can you share some of the interactions you had with Bhagawan at that time when access to Him was so easy? Also you must have had evening sessions on the banks of River Chitravathi. PB: That’s right. We came from Delhi, a city, to this rural, backward area but no trouble seemed too much for us because Swami was constantly with us during our stay here. He filled our entire day with His presence. I remember He would come and sit on our trunks because we had no chairs or anything for Him, and all of us used to sit on the floor. When Swami came, we would quickly put a cloth and cover the trunk for Him to sit on and He would settle down there and talk to all of us. He would ask about our lives back in Delhi and our problems, advice us on various issues and with Swami there would always be these little lessons of life. PB: That was a little but profound life lesson - whatever you do, take it that you’re doing it for Swami. Just being with Him was a learning experience. During our second visit, my aunt Sarju, that is Rani Maa’s sister, accompanied us with her little children. So all of us kids used to take all the clothes and go to River Chitravathi to do the laundry. 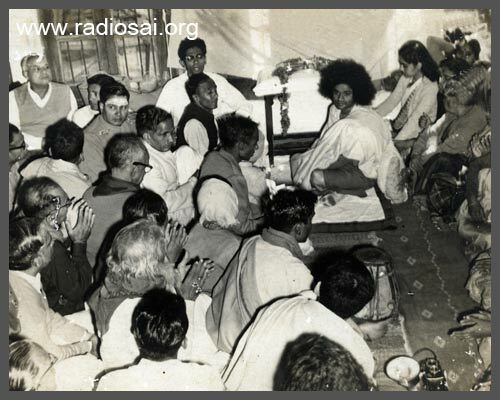 At that time, Swami had already moved into the Prashanti mandir and as we would start walking towards the banks, He would call out to us through His window. PB: He would say, “Hey, Come, come!” and we would just drop everything and run in, and He would sit and talk to all of us. RS: Laundry can wait. God beckons! PB: Yes, Laundry can wait. Oh, and how He would talk to us! He was almost like one amongst the children. He was so child-like. He would play different games with them, would dress the little three and four year old girls with flowers and all. Oh, and that reminds me, He also taught us how to make flower garlands… being from Delhi we knew nothing about making garlands. RS: I see. How to tie the knots and do it? PB: Yes, to make garlands of jasmine. And not with needle and thread but with the other raw material, the traditional way. He sat and taught us all that. So, all of us went - mother, sister and myself - and He Himself had bought all the things necessary for the pooja - the flowers, kumkum, haldi, etc. He then directed my mother, step by step as to how to do the paada pooja, everything in detail. He was so sweet and patient. In those days, He used to give us directions on a lot of things. PB: And we used to happily play in the sands all evening, until He finished talking to the adults and then return. For me as a child, those were the wonderful memories of Chitravathi. RS: And what about these hot sweets that Swami pulled out from the sand… weren’t they dirty? PB: No. Not at all. Mysurpak, halwa, laddoos - whatever it was that He pulled out, there was absolutely no sand sticking to it. RS: Now, you mentioned that you come from an intellectual family with an analytical bent of mind; your family was not given to ritualistic practices, as your mother knew nothing about paada poojaa. And here was this young spiritual master who, in His own words, was in a stage replete with miracles and manifestations (Leelas). How did the twain meet? 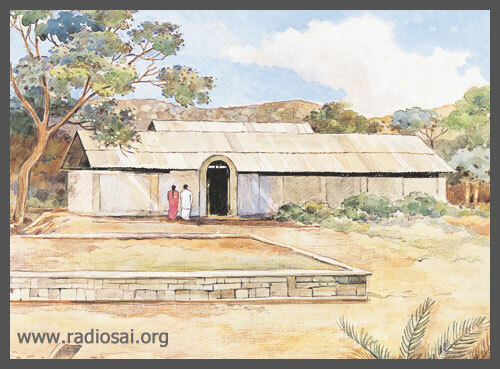 How did your family get drawn to Sai? PB: Well, that just did not impress us because what we were looking for was something more spiritual. But the fact is He did show us in our lives quite a few what you could call miracles, but we didn't call them so at that time. What we have experienced is miracles in our daily lives. The first time we went to Swami, we had planned to stay for about two weeks, but Swami said, “No no, stay longer. Be here for another week or ten days.” And we said, okay and stayed, because we were so happy being with Him. After staying for an extra ten days, we came to Madras on the morning we had booked our tickets for Delhi. Even as we entered the station we saw the Grand Trunk Express leaving - the last carriage was just moving out of the platform. PB: Yes. My mother was really worried because those days it was very difficult to change your ticket. She said, “Let me go and check with the station master what we can do.” The station master had a look at the ticket and said, “Madam, there is no date on your ticket. You can go any day you want.” That was one small miracle that Swami showed us that very first trip. My mother said, “No Swami, I don’t need more money; I have enough,” and didn’t take it. On her return journey, when she reached Bombay (those days we had to change trains at Bombay to go to Delhi) she found that somehow her train had been canceled. So she had to buy new first-class tickets, and she didn’t have enough money. RS: ..that He knew what was coming. What is the Magic Behind Swami's Irresistible Attraction? PB: Yes, He confirmed that it was His love and message, that’s more important than the miracles. Swami used to write letters to my mother quite often and once He had written asking her to come for Dussehra. About the same time, my sister had her Senior Cambridge exam and so my mother didn't want to leave her. She felt she should be with my sister and coach her. PB: So that was how, Swami facilitated for her to go that time. RS: And also taught her the lesson of having to let go. PB: Exactly! So, that was how in every aspect, He was teaching us lessons. That was the amazing thing.